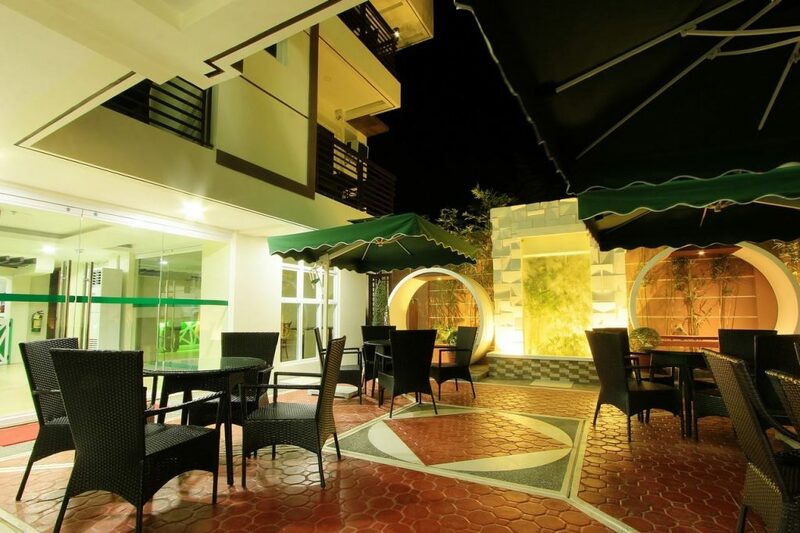 Emerald Boutique Hotel Opens Its New Events Venue | Fly Me To Mayon! When it seems like Emerald Boutique Hotel is done surprising people with its affordable rooms and beyond-expectations service, it is now announcing another exciting addition to its offering – opening the doors of its one of a kind events venue they call “The Garden”. The Garden without its current transparent roof. This space was already so full of charm prior to its renovation. Its airy ambiance made this one of the most popular hangouts among hotel guests especially in the cool of the day. The Garden was originally an outdoor space that allowed guests to enjoy the fresh air outside. However due to Bicol’s unpredictable weather, the management chose to install a roof over the outdoor space. However it was also important for the hotel to keep the outdoor charm of the area so the perfect compromise would be to install a transparent roof that will keep the water out but will let the natural light in. This also allows guests to have dinner under the stars, a pretty romantic place to enjoy a meal for two. The Garden with its transparent Resin Roof Panels that allow natural light to flood the place without exposing guests to the elements. The Garden is fully air-conditioned. The Garden can accommodate up to 60 people. 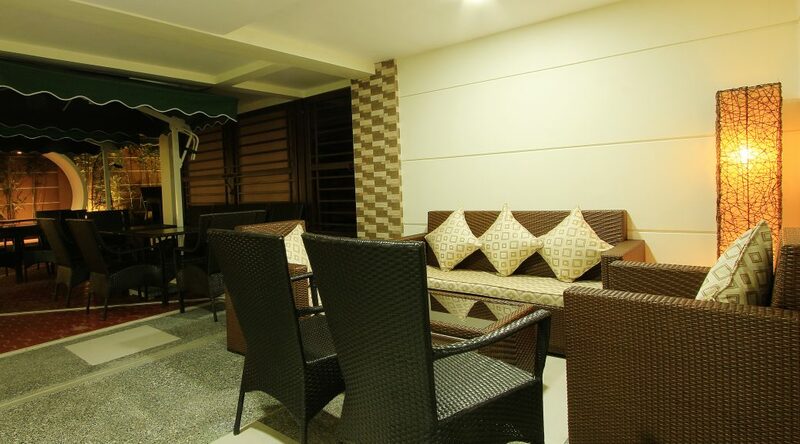 It is fully air-conditioned and it comes with comfortable tables and chairs. But the deal clincher for this venue is its very reasonable rental costs. The Garden has attractive food packages and there are also inclusions that will surely make your event not only memorable but cost-effective. 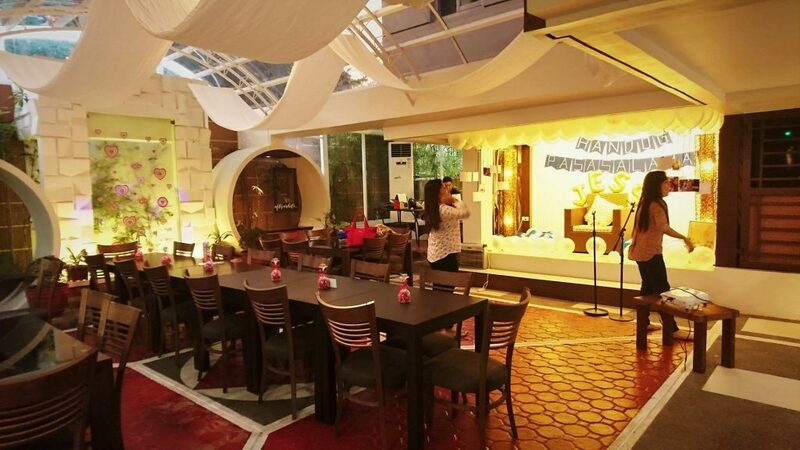 With Emerald Bistro Cafe providing for the food in the new events venue, you can be sure you are not only getting a nice place to have your party, you are also dining with amazingly good food prepared by Emerald’s in-house Chef. The food is provided by the Emerald Bistro Café. This means amazingly delicious menu options prepared by no other than Emerald’s in-house Chef. 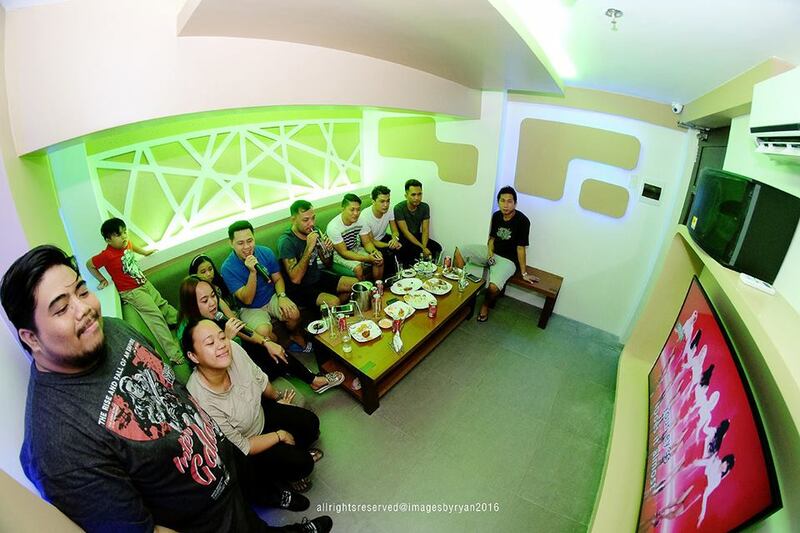 There are also two VIP videoke rooms you can use (separate fees apply). These can add another fun element to your event. These rooms have direct access to The Garden so your guests can conveniently enjoy this added amenity. Emerald’s VIP Videoke rooms are second to none. Rent these out too and make your event more special! Interested to book at The Garden? 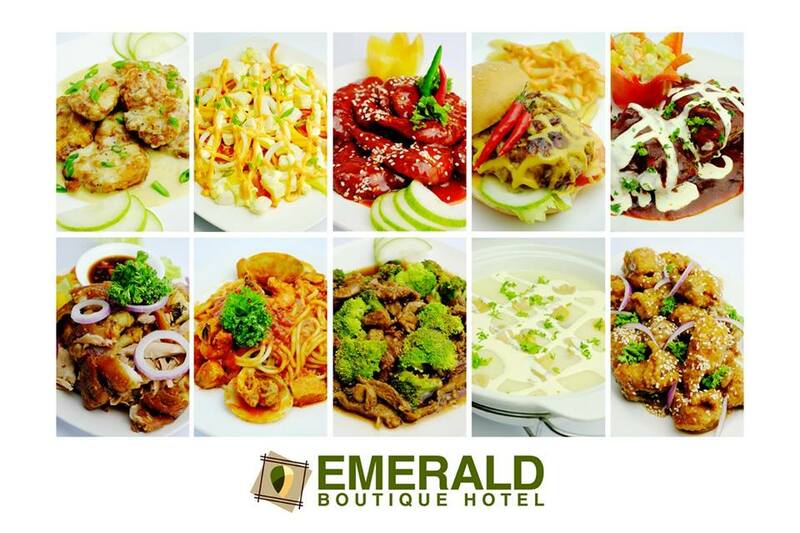 Call/text Emerald Boutique Hotel at these numbers: (052) 201 – 0402 or +63 917 322 5232.